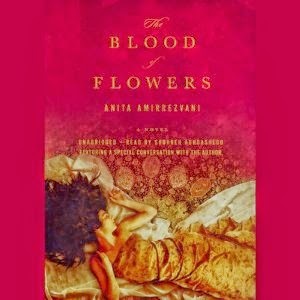 Sometime last year, Audible.com had a sale and The Blood of Flowers was included. I nonchalantly read through the synopsis, and was pulled in by the story of a young girl in seventeenth century Persia, but I was immediately hooked once I listened to the audio sample. Actress Shohreh Aghdashloo is one of those actresses I've always liked but never knew her name, yet it's her voice that is so memorable. I didn't even need to search online to know that the narrator was the actress in House of Sand and Fog, Fox's series 24, and most recently on the NBC series, Grimm. Click here to listen; isn't her voice beautiful and captivating? Combined with Aghdashloo's voice, Amirrezvani's mesmerizing tale of seventeenth century Persia comes to life even more. Although it was a time that wasn't easy for anyone, much less for women, our fourteen-year-old protagonist is certain her world will be full and happy, consisting of marriage and many children. But when her father unexpectedly dies, life forces a different turn. Soon, she is traveling with her mother to Isfahan to work with her uncle, a rug maker. Her own artistic talents as a designer help her to excel in a world in which men lead the way, but it's when a secret marriage secures her current financial situation that she and her mother finally feel safe. The crumbling turn it takes is unexpected and derails her from the comfortable life she had created, but it might just be the choice that sets her completely free. I loved this story. Rather, I'll call it an experience, particularly as it was the audiobook. The richness of the characters and the details alone make it worthy of a recommendation but with Aghdashloo beautifully relaying the intricacies of the story, from the artistry of rug-making, the secret marriage, intense love scenes, and staggering betrayals of friends and family, made it even more at the top of the list of best audiobooks to listen to. Rounding out the tale itself are seven fables embedded into the story, told by the protagonist's mother. Each of them come from traditional sources, particularly thirteenth-century poets and adds another layer of cultural fullness to the story. Keeping the protagonist unnamed may be unsettling for some, but in this case, it makes perfect sense. The author points out at the end that when you admire the artwork on a carpet, the designer is anonymous. Never do you see a signature and so the artist is never named, their legacy somewhat lost. Allowing the main character to remain unnamed keeps with the spirit of anonymity. And although some may not like a more mature voice speaking the words of a young girl, I did not find it disconcerting in the least. Again, Aghdashloo's voice is magical enough, lending even more authenticity to the story. I loved everything about the story of a young girl in her early life of unexpected friendships, marriage, love, loss, and betrayal. 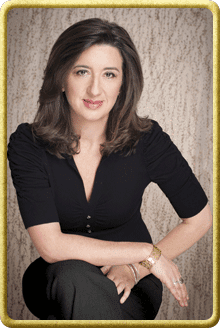 Amirrezvani is a new-to-me author and I'll eagerly add her work to my bookshelves. Of all the tales she had ever created, I was the one written in the ink of her soul. FTC Disclosure: I purchased and downloaded this from Audible.com. Anita Amirrezvani was born in Tehran, Iran and spent time in San Francisco and Iran as she grew up. She is the author of The Blood of Flowers and Equal of the Sun. Shohreh Aghdashloo is a seasoned actor and an Iranian-American with an extensive background in film and theater. Before the Iranian Revolution in 1979, Aghdashloo gained fame in Iran for films including The Report, which won several critics' awards from the Moscow Film Festival in 1977. After the Iranian Revolution, Aghdashloo moved to England and obtained a B.A. in International Relations. She then became an American citizen and continued to pursue her acting career, earning an Academy Award nomination for her scene-stealing performance in House of Sand and Fog, also starring Ben Kingsley and Jennifer Connelly. I have been looking for a book set in Iran that's not written by Marjane Satrapi. Looks like this one is a good fit. Thanks for recommending it. I'll probably be looking for the print version because I'm one of those who struggle with narrators that are much older than their protagonists. I love the setting and the historical aspect of this book. It sounds terrific!